Included with your sign will be 4 to 6 polished standoffs that must be mounted to the wall with wall anchors. Your sign will have holes for the standoffs drilled in the correct locations. 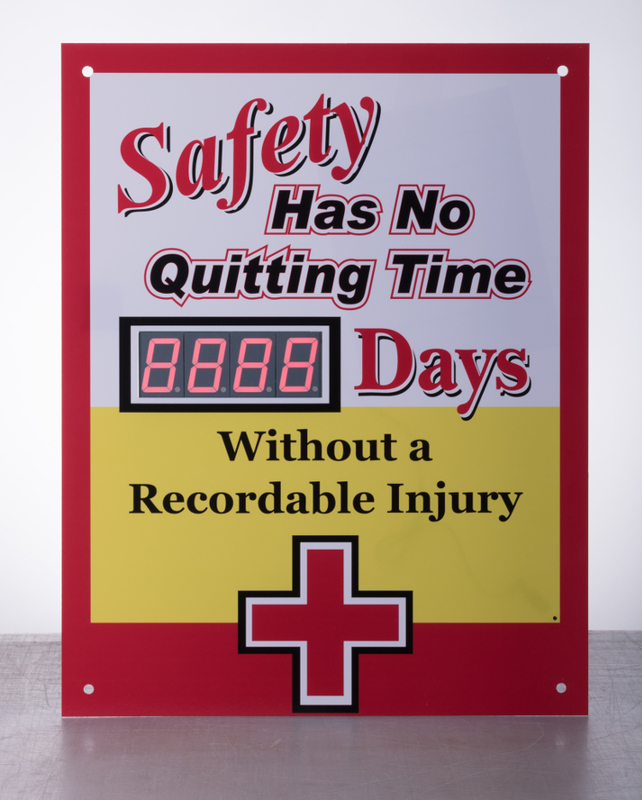 Your sign will arrive mounted in a quality 13/16" backless aluminum black matte frame suitable for mounting indoors. It will hang on the wall like a picture frame. The sign face will be adhered to the frame using a two part epoxy which adds strength for shipping and use. Outdoor signs are shipped in a 3 3/4" black powder coated sign grade extrusion frame with a .040 inch aluminium back panel. Numeric display windows will be treated with a red light filter overlay to increase visibility of the display in sunlight. A two part epoxy will be applied around the edge of the back panel to secure it to the aluminum extrusions and ensure a weather tight seal. A hard wire exterior grade power supply will be mounted inside the frame and wired with a test power cord. This power cord is for initial testing only. Your sign should be wired by a licensed electrician. A single hole for electrical wiring will be drilled into the bottom corner of the back panel. It will shipped with a plug installed so additional holes can be added to suit your specific needs. You will need to contact a licensed electrician to install your sign according to your local electrical code requirements.